The UK’s leading yogurt and chilled desserts manufacturer Müller Dairy, part of Müller UK & Ireland Group, has confirmed the appointment of Bergen Merey (49) as Managing Director. 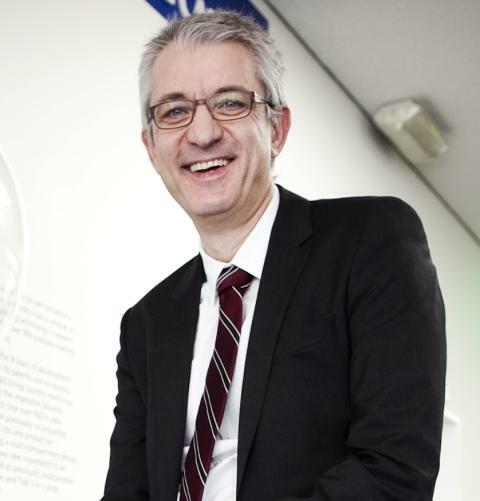 He joins Müller Dairy on 4th May having spent nearly 25 years with Procter & Gamble (P&G), latterly as a member of P&G’s Global Business Leadership Council and Vice President of the Company, leading P&G’s Selling & Market Operations in the Benelux countries. Bergen brings with him a wide array of executive leadership, brand building, marketing and talent development experience across many of P&G's key Brands in Beauty, Grooming, Health, Fabric, Home, Baby Care and Snacks categories throughout both the developed and the developing markets, including global, regional, and local roles. In Benelux, Bergen led P&G’s entire business portfolio across many of the well-known household names, such as Ariel®, Pampers®, Always®, Gillette®, Oral-B®, Olay®, Max Factor®, Pantene®, Head & Shoulders®, Duracell®, with corporate governance, stewardship and executive leadership responsibilities of the multiple Company sites and the manufacturing plants. Prior to this appointment, he held a series of leadership roles in the Snacks category, as Vice President Western Europe, and as General Manager for the global Pringles®Brand, including its launch and distribution in China and the Asia region. His career in P&G also included senior marketing roles in the global Snacks, Oral Care, Baby Care and the Feminine Care categories throughout Europe. Andrew McInnes has been Acting Managing Director for Müller Dairy whilst the recruitment process has taken place and will now revert to his role as Chief Financial Officer for Müller UK & Ireland Group. “We have ambitious plans for our business in the UK and Ireland and want to build on the strong progress we have made to date. “We are very pleased to welcome Bergen to the business. His experience, leadership, drive and energy will be crucial at what is an exciting phase in the development of Müller in the UK. Born and brought up in Turkey, Bergen Merey studied at the Bosphorus University in Istanbul, before graduating with a Masters in Business Administration, Marketing, Finance and Economics from the University of Chicago Graduate School of Business (The University of Chicago Booth School of Business). 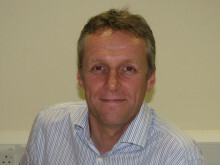 Bergen had started his career in P&G in Germany in 1990, and was later on based in the UK, Switzerland, the Netherlands, and most recently in Belgium. He lives in Buckinghamshire with his wife and their son. He speaks Turkish, English, and German fluently.